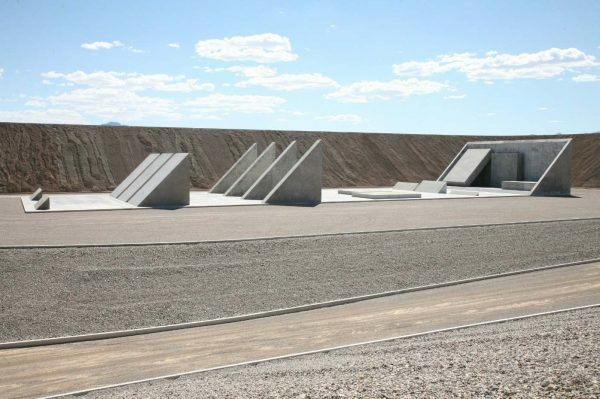 White House review could shrink protected land around Michael Heizer’s City. RIP: David Tang, who passed away at the age of 63. Biennale de Montréal cancels 2018 edition due to financial situation. Texas museums prepare and brace for full impact of Hurricane Harvey. How they prepared for the catastrophe. Institutions assess impact of Hurricane Harvey on their venues and collections. Artnet also has a report. Widely circulated photo of Harvey flooding at Houston airport is actually fake. National Endowment for the Humanities pledges $1mil. to arts organizations hurt by Hurricane Harvey. Berkshire Museum board turns down $1mil donation offer to pause deaccessioning art sale. It is under review for planned sale, Massachusetts attorney general confirms. Neighbors unhappy with Ai Weiwei’s upcoming Washington Square Park installation. Artnet’s How Artists Are Responding to Terror and Tragedy With Alternative Media. Martin Roth warns of the rise of right-wing populism in posthumously-released book. Donald Trump’s $3mil White House redesign gets a thumbs down. George W. Bush reveals why he won’t be painting Michelle Obama. Heavy security at US Open forces Queens Museum to close again. Uferhallen studio complex in Berlin sold for $35mil. as artists worry about future of their workspaces. Court grants Rybolovlev’s request for Sotheby’s documents in ongoing feud with Bouvier. Singapore Art Museum announces it will not be filling CEO and director positions anytime soon. Christie’s increases the brackets for buyer’s premium fees. It will also add London sales in Oct.
€100mil. needed to save the gargoyles and gothic arches of Notre Dame cathedral in Paris. Museum of Contemporary Art Taipei will hold first LGBTQ art survey show at a major museum in Asia. Germany to bring international contemporary art to Beijing’s Forbidden City for the first time. Mexico creates new federal police division to protect country’s cultural heritage. Italy relaxes stringent export laws for post-war art. Construction workers uncover possible Basquiat SAMO tag on Aby Rosen’s building. Bryan Stevenson is building America’s first slavery museum. 50,000 tickets to Yayoi Kusama: Infinity Mirrors at The Broad sell out at blazing fast speed. Hammer Museum adds Linda Janger to board of directors; Glenn Kaino, Dean Valentine to board of overseers. Carolina Miranda previews Hammer Museum’s Radical Women: Latin American Art, 1960-1985. Museum openings this fall and winter. Study shows that European museums are more trusted than American ones. Dread Scott flags acquired by MCA San Diego and Whitney Museum. The Art Newspaper’s must-see museum shows this autumn. High Art of Riding Low lowrider car exhibit arrives at Peterson Automotive Museum. Artnet’s Fall Museum Preview: 30 Outstanding Art Exhibitions to See in New York This Season. Solange releases interactive project on black womanhood tied to Tate Modern’s Soul of a Nation show. City of Dust: The Evolution of Burning Man at Nevada Museum of Art to show art of Burning Man. Underground Museum wins $40k Ellsworth Kelly Award from Foundation for Contemporary Arts. African artists will take center stage at Performa. Bronx Council on the Arts names Viviana Bianchi executive director. Carolina Herrera to show spring collection at MoMA. Robert Longo installation will come to Hunter College. Artsy’s list of The 15 Top Art Schools in the United States. Folkestone Triennial opens in British coastal town. Nion McEvoy preparing to open a nonprofit arts space McEvoy Foundation for the Arts. Sotheby’s to auction earliest known photo of a US president – John Quincy Adams. Debbie Reynolds’s Norman Rockwell and more from collection to be sold in Profiles in History auction. Doyle to have Asian Works of Art auction in Sept.
Fine Art Bourse (F.A.B.) aims to disrupt online art auction industry. South Africa’s first legal auction of rhinoceros horns yields fewer bidders and fewer sales than anticipated. NADA Miami Beach International Gallery Prize goes to Carne Gallery and Dawid Radziszewski. Fine Arts Paris art fair coming to Paris in Nov.
Tim Schneider explores Sotheby’s new premiums pricing and more. Kenny Schachter’s adventures in Ibiza and Los Angeles this summer. Stefan Simchowitz dicusses the Silicon Valley art market. New gallery Housing aims to de-gentrify Brooklyn neighborhood. Luciana Brito launches a New York project space. Mathew Gallery moves spaces from 47 Canal to 46 Canal. Five Berlin galleries will present the city’s first non-commercial collaborative event with Good to Talk. NY Times writes about Unclebrother. Koyac’s list of the most influential people in the art world. Alex Israel’s feature-length film SPF-18 to be released on iTunes in September. Artnet interviews Janet Cardiff about what it takes to create a epic sound art work. Tom Sachs creates music video for Frank Ocean. Jen Stark feature in WestwoodWestwood. Trevor Paglen plans world’s first space sculpture. Artnet interviews New Yorker cartoon editor Emma Allen. Matthew “Levee” Chavez’s post-it art returns to give solace in the wake of Charlottesville. Miranda July sets up interfaith thrift store on the third floor of Selfridges in London. Ai Weiwei, Shirin Neshat, and Laurie Anderson to premiere their films at Venice Film Festival. Review of Shirin Neshat’s film Looking for Oum Kulthum. Artnet on how Alexandra Pirici became performance art’s newest rising star. Sarah Suzuki creates children’s book about Yayoi Kusama. William Eggleston announces debut music album Musik. LA Times interviews Ron Athey. Custom printed and embroidered clothing by JPW3. Anteism Books to publish Portrait of an Artist book with interviews from Abramović, Emin, Neshat, and more. Artnet’s list of 11 Things to See in New York This Week. Categories: Art, Contemporary Art, Features, Low Brow & Pop Surrealism, Overtime, Street & Urban Art. Tags: Contemporary Art, Features, Low Brow & Pop Surrealism, Michael Heizer, Overtime, Street & Urban Art.